Cabo golf courses carve themselves into the desert scenery and touch upon the edges of the ocean. Like pieces of art, each hole has its own personality. Some are spunky little par threes with prehistoric looking drop offs between the tees and greens. Some are long par fives that seem endless in the hot sun. And why wouldn’t they be masterpieces? 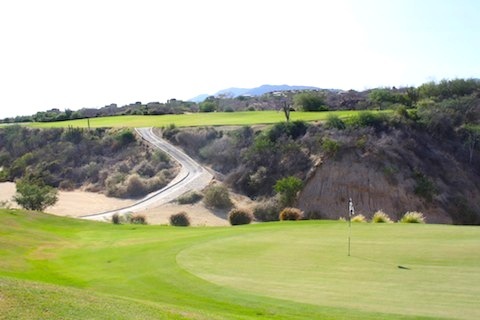 The golf courses in Cabo are designed by greats like Jack Nicklaus, Greg Norman and Tom Weiskopf III. They’ve hosted Senior Gram Slams, been ranked among the top in the world and many of them have been played by some of the best players in the world. Even to someone who is as awestruck of these course as I am, the $200 green fees keeps me from lugging my clubs down to Cabo. And if I wanted to play more than one course? Yikes. That’s an extra night or two at my hotel! Luckily, I’ve found some ways to save on those super expensive green fees. You won’t get anything dirt cheap, but perhaps with these golf discounts you can still stay in Cabo that extra day. Cabo’s high season is from late November through Easter. The low season, when the temperatures start to climb, is usually the summer months. And if you play in the off season, you can usually shave a few dollars off the cost. 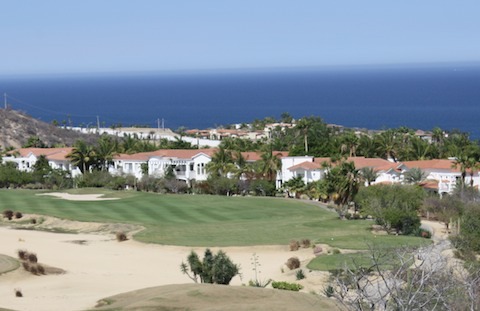 The Palmilla Golf Club (operated by Troon golf) is $220 during high season and $180 during the low season. That’s a discount of $40. Most golf clubs in Cabo offer twilight hours, even during the high season. This is a great way to get a deal on Cabo San Lucas golf courses, saving you anywhere from $40 to $100. If you are dead set on playing Cabo del Sol’s ocean course but don’t want to pay $355, wait until after 1pm. It’s going to be a lot hotter outside, but you’ll getting a discount over $100. Drink lots of water! Most golf resorts in Cabo offer golf packages, which can offer you a pretty big discount. With a Cabo San Lucas golf package, your room and green fees are bundled together to save you money. Some packages include unlimited green fees at the partnered course. Also the resorts are usually close to the courses they are affiliated with so you can also save on taxi fees as well (some even have free shuttles). Most the golf courses in Cabo are part of larger developments that have condos, villas and other vacation rentals. You can often also book Cabo San Lucas golf packages at those locations. For example, if you want to play at Jack Nicklaus’s courses at the Palmilla, you could look into a golf package at the One&Only Palmilla. Most of the public and semi-private courses in Cabo allow you book through EZ Links. EZ Links offers discounts on tee-times at Cabo San Lucas Courses. You can search their website by date to see if there are any specials for when you want to make a tee time. 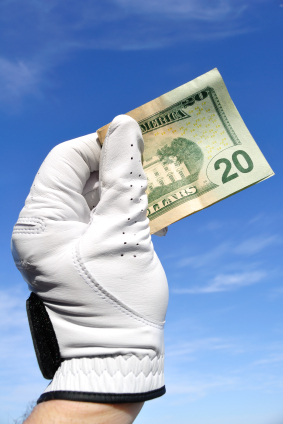 There are several golf membership programs like Golf Card where you pay a yearly fee to join and then you are offered discount at a variety of different courses. Check ahead of time to be sure that Cabo’s golf courses (or the one you want to play) are included in the program. And call the course to double check. If you are member of a private club at home, you might be have reciprocity with some of Cabo’s private or semi-private clubs. That means that you’d only have to pay the member’s fee (usually discounted from the guest fee). Check to see if your club has any Cabo golf clubs as a reciprocal club. Do you know of any great Cabo San Lucas golf discounts? Please share!